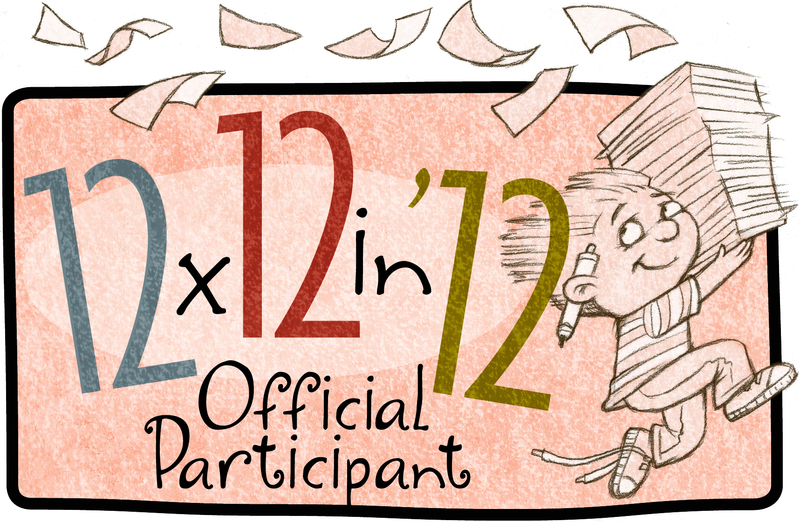 Right now I am in the Character Design phase of the KidLitArt Picture Book Dummy challenge. I sent my manuscript off to be edited by a couple of friends and I’m nervously waiting for their suggestions. The prose has already gone through 3-4 revisions so hopefully there won’t be TOO many red marks. In the meantime I have begun diving into the research. This book will be filled with costumes from around the world… can-can dresses, kimonos, harem pants and grass skirts. There’s going to be a lot of fabric, a lot of movement, a lot of embellishment… so fun! I hope to start working on the storyboard this weekend and will probably spend at least one day at Panera sketching this week… I’ll be the one in the back… jamming out to iTunes and covered in pencil smudges. This is how I feel now that I finished my Annual Report project for work (all 40 pages of it) and can FINALLY get back to my picture book dummies. I can’t wait till I can pay my bills doing kids art full time. Note: Click on the picture to see the YouTube video of the Pedigree Commercial this was taken from. You won’t be disappointed… I PROMISE!